July 27, 2015 (LBO) – Sri Lanka’s Securities Exchange Commission says that transparency enhancement leads to improve the performance of companies and enables businesses in becoming magnets for inward investment and more resilient in the face of future challenges. “Markets move on information,” Thilak Karunaratne, Chairman, Securities & Exchange Commission of Sri Lanka said. He says a strong disclosure regime can help to attract capital and maintain confidence in the capital markets. “By contrast, weak disclosure and non-transparent practices can contribute to unethical behaviour and to a loss of market integrity at great cost, not just to the company and its shareholders but also to the economy as a whole.” Karunaratne said. He urged the organizations to distribute information for investors to make the right decisions. Therefore, to further enhance auditor oversight the SEC is exploring the possibility of placing a legal audit duty on whistle blowing to report any irregular or improper conduct by the regulates , Karunaratne added. “As this process is accepted by all the major audit firms I sincerely hope that their local associates will also fall in line,” he said. Today, stakeholders increasingly turn to a company’s management and shareholders, to ascertain whether their business practices take full account of the environmental social and governance (ESG) dimensions of its activities, and if its governance structure meets the expectations of society. Therefore, Corporate Responsibility Reporting is an essential business management tool, Karunaratne said. 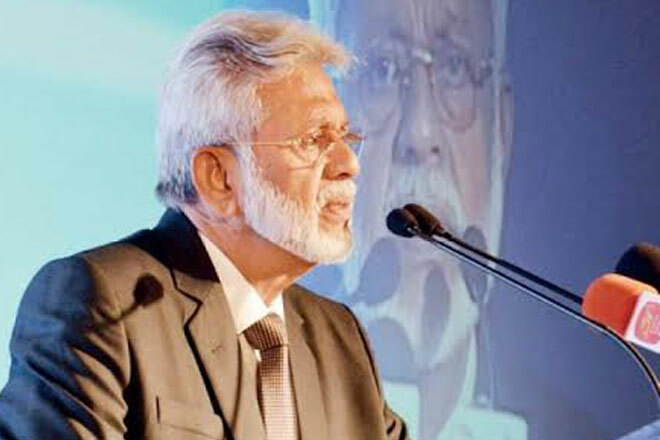 Karunaratne says integrated corporate reporting has become a tool that is used to enhance the information of stakeholders and to ensure that these companies act as good corporate citizens.